The Electron was able to save and load programs onto audio cassette via a supplied converter cable that connected it to any standard tape recorderthat had the correct sockets. It was capable of basic graphics, and could display onto either a television set, a colour (RGB) monitor or a “green screen” monitor. The hardware of the BBC Micro was emulated by a single customized ULA chip designed by Acorn. It had feature limitations such as being unable to output more than one channel of sound where the BBC was capable of three-way polyphony (plus one noise channel) and the inability to provideteletext mode. The Atari 8-bit family is a series of 8-bit home computers manufactured from 1979 to 1992. All are based on the MOS Technology 6502 CPU and were the first home computers designed with custom coprocessor chips. 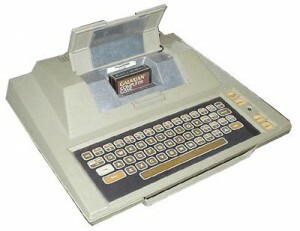 Over the following decade several versions of the same basic design were released, including the original Atari 400 and 800 and their successors, the XL and XE series of computers. 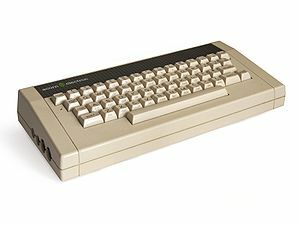 Overall, the Atari 8-bit computer line was a commercial success, selling two million units through its major production run between late 1979 and mid-1985, a total of around 4 million units. 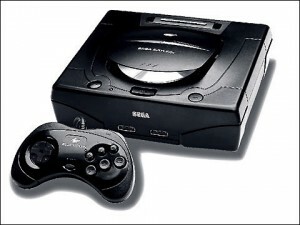 The Sega Saturn is a 32-bit fifth-generation video game console that was first released by Sega on November 22, 1994 in Japan, May 11, 1995 in North America, and July 8, 1995 in Europe. The system was discontinued in North America and Europe in 1998, and in 2000 inJapan. The Saturn sold 9.5 million units worldwide. While its installed base in the United States ended at 2 million, its installed base in Japan was more than 6 million units. While it was popular in Japan, the Saturn failed to gain a similar market share in North America and Europe against its main competitors: Sony’s PlayStation and later the Nintendo 64. 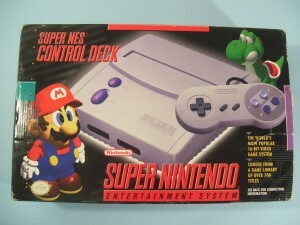 The Super Nintendo Entertainment System is Nintendo’s second home console, following the Nintendo Entertainment System (NES). The console introduced advanced graphics and sound capabilities compared with other consoles at the time. Additionally, development of a variety of enhancement chips (which were integrated on game circuit boards) helped to keep it competitive in the marketplace. The SNES was a global success, becoming the best-selling console of the 16-bit era despite its relatively late start and the fierce competition it faced in North America and Europe from Sega’s Genesis/Mega Drive console. The SNES remained popular well into the 32-bit era, and although Nintendo no longer offers factory repairs/replacement or accessories for the console, it continues to be popular among fans, collectors, retro gamers, and emulation enthusiasts, some of whom are still making homebrew ROM images. 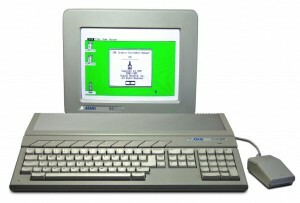 The Atari ST is a home/personal computer that was released by Atari Corporation in 1985 and commercially available from that summer into the early 1990s. The “ST” officially stands for “Sixteen/Thirty-two”, which referred to the Motorola 68000’s 16-bit external bus and 32-bit internals. Due to its graphical user inferface, it was known as the “Jackintosh”, a reference to Jack Tramiel. The Atari ST was part of the 16/32 bit generation of home computers, based on the Motorola 68000 CPU noted for 128 kB of RAM or more, a graphical user interface, and 3½” microfloppy disks as storage. It was similar to the Apple Macintosh, but lacked many additional features of the Commodore Amiga, though the simpler design did allow the ST to precede the Amiga’s commercial release by almost two months. The Atari ST was also one of the first computers to come with a bit-mapped color GUI, using a version of Digital Research’s GEM released that February.